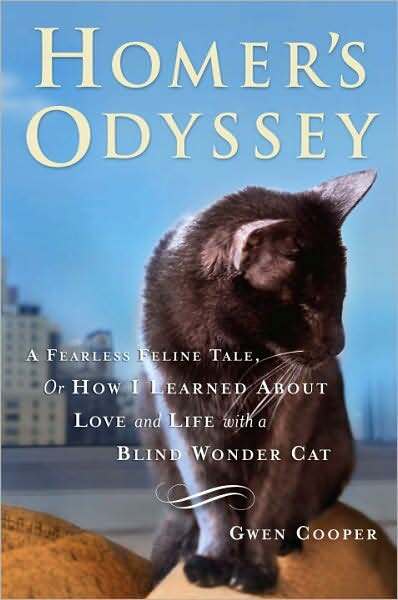 Homer’s Odyssey by Gwen Cooper is a closely observed tale of a tiny black kitten who lost his sight early in his life. Beginning his life as a stray in South Beach, Homer’s eyes became so infected that his eyes had to be removed when he was eventually rescued and treated by a vet. The vet, after many failures, finds Gwen who instantly bonds to Homer, only a few weeks old. His new owner has her own set of challenges, not only adapting her household physically (eliminating obstacles and clutter and padding sharp corners) but also integrating the kitten with the two already ensconced feline inhabitants. The author clearly adores the newest member of the family, but also studies Homer with a scientist’s eye for detail, as she works to understand the needs of her new kitten. 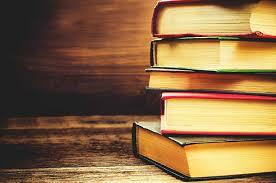 She describes how his sense of hearing and touch compensate for his lack of sight. Parts of the story are heartbreaking but Homer is the very essence of resilience. The author is careful not to attribute human attributes to her cats but obviously admires Homer’s bravery and his will to survive and thrive. Frugal Librarian #17: Can I get a Woot Woot?